Hey guys.. to keep it simple i made a box for this type R before and it didnt sound to good... it was loud but certain bass hits sounded muffled. 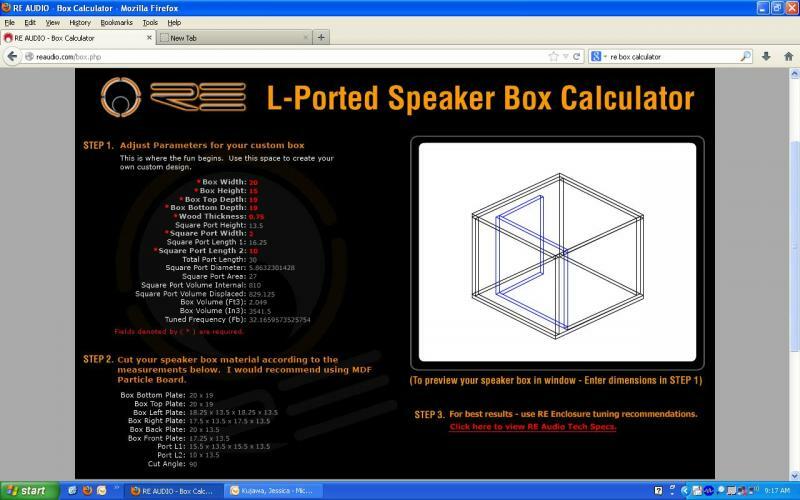 I used RE calc last time and the port was not L shaped but still tuned to 35 Hz according to RE calc (Square port length 2 = 0). ALL help and opinions will be appreciated. Last edited by D4nnyD; 05-16-2013 at 10:38 AM. If its any help im powering the sub with 600 Wrms at 2 Ohms from an MTX amp. if you want that wide of a range of frequencies why not use a sealed box? it also works better for space limitations.